Trading with the trend is crucial for long term success. So on this video we look at how to simply spot a potential big move. 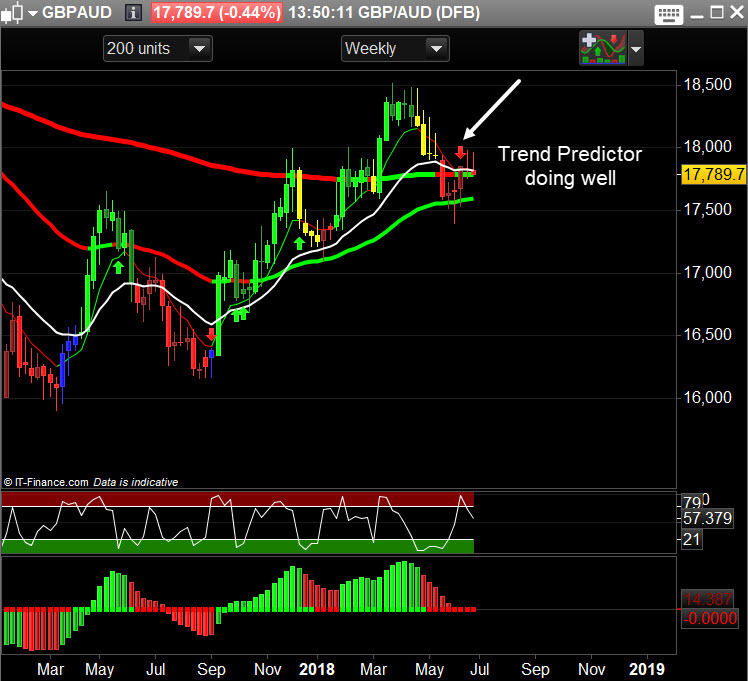 The GBPAUD Trend Predictor short signal. 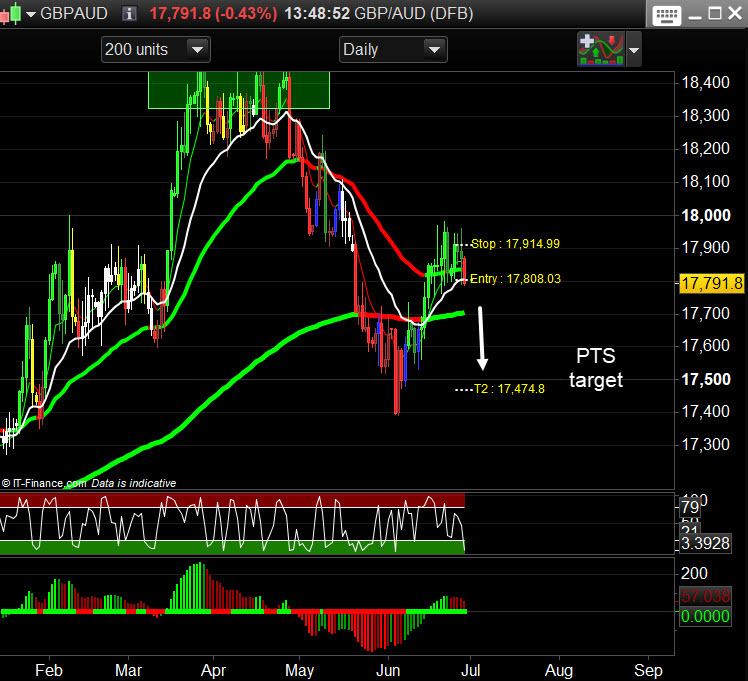 We have a weekly short signal on the GBPAUD chart so we should see more downside in this market.